Note: this post originally appeared on Medium, where I’ll be posting first from now on. If you’re a Medium user, or thinking about starting, you can follow me here! A huge number of Internet companies are going to be created in the next decade that are native to the developing world. Many of them will go on to build great things big and small, but only a select few of them will reach mythic status — the way Google and Facebook have reached here, and the likes of Microsoft, Cisco and Intel before them. We don’t know who they are yet, of course. But how might we recognize them? At Social Capital, we spend a lot of time thinking about this challenge and the opportunity it presents. 1. Path dependence: What emerges, and in what order? 2. Participation: why join and use the Internet? How is it better than what came before? What does it mean to participate? 3. Reach: At what spots do companies gain the most reach by enabling Internet participation? For each lens, we’ll go through what happened in the United States, what’s different in China, and what we think might happen with the next few billion users in the developing world (India, Indonesia, Nigeria, Bangladesh, and more). 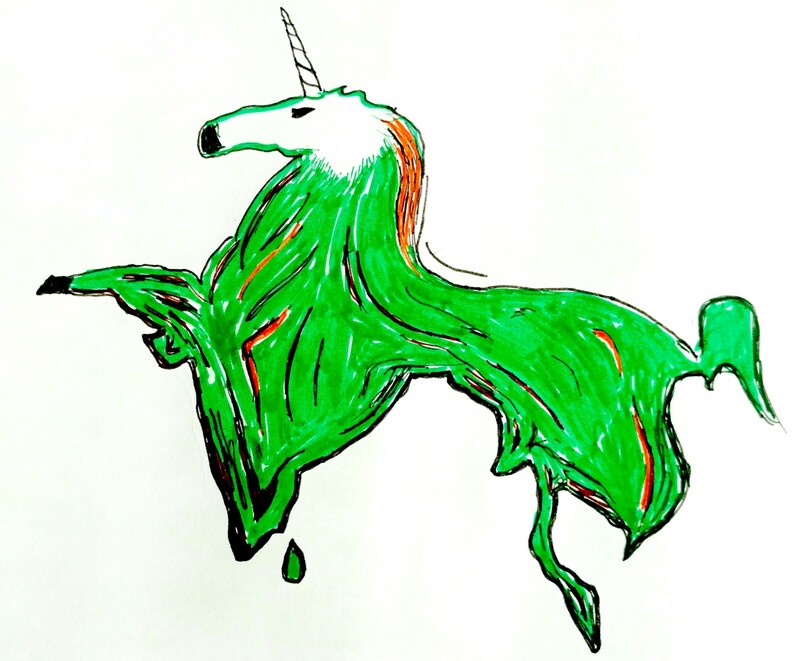 Finally, we’ll pull the threads together and make some guesses as to what conditions the next $100B company (the mythical Indicorn) will have grown up in, and what to look for so that we might spot it. 1. In what order do things emerge? What path dependence results? The first key concept to introduce is distinguishing Internet access from Internet services. In the United States, for the average Internet user, Internet access came first. Then, some time later, useful Internet services came along — the products and companies that help you do something in the real world, but are Internet-powered in some critical way. For Americans, there was a pretty significant gap in between: for a decade or so, the Internet was a place where for the most part you went to find information. When the Internet bubble burst at the turn of the century, many of the Internet service attempts got wiped out — e.g. Webvan — seeing as they weren’t prepared to actually make money. Actual Internet services with real business models came later. eBay was an early and notable exception. This matters because when we think about how the Internet evolved in the United States, the particular path it took matters: first Internet access, then some time later Internet services. In contrast, consider China: We’re now at a point (early 2016) where more than half of China is on the Internet, with nearly all of these people on mobile. For most of these people, Internet access & Internet services emerged at about the same time — quite unlike the average user in the United States. In China, portals dominate in a way they don’t in the US, and lines between portal and platform get very blurry in the case of the “Mega Apps” like Baidu or WeChat. Would AOL or Yahoo have gone the way it did had Internet services been more prevalent and genuinely useful in the late 90s? If you’d been able to do stuff beyond find things online? Messaging also dominates in a way that US is only beginning to experience. More on this later. For that future cohort of billion new Internet users, we may see the reverse of what happened in the United States: Internet services arriving before Internet access. Think of it as a last-mile problem: which is likely to reach any given person faster, a personal connection to the Internet via a telco, or Flipkart / Tata / Amazon India service, organically grown local services, all facilitated by SMS? I’d bet on the latter. When someone orders something on Amazon India by texting a shop owner who relays the order, and then later on picks up & pays for this order in cash, they have clearly used an Internet service — but they never had “Internet access” of their own. This state of things is changing rapidly: at some point, all of these users will be bona fide connected. The question is what happens between here and there. In the United States, access came before services; in China, they arrived at the same time; in Bangladesh, that last mile will be connected by services prior to genuine access. Thus, not only will services evolve in a very different way than we’re used to (by virtue of serving people without access of their own); access will also evolve differently than we’re used to (as services will have been in place already). Path dependence must thus be considered carefully when contemplating what happens when this next cohort is all online. 2. What does it mean to participate in the Internet? Here; China; The Future Billion? As this future cohort joins the Internet, what is it going to do? In the United States, when Internet access preceded the rise of useful Internet services for most people, “participating in the Internet” meant using the Internet for what it was good for — you could find things out you couldn’t before, or find them out faster, or find them out more thoroughly. Consider the question of how Google Search made Yahoo obsolete. It’s easy to say “Google won because it was 10x better” — but better at what exactly? Google won because it was superior at what participation meant at the time (finding things out). Google was not better at being a platform or portal for services, but that’s not what mattered. They were better at search, and that’s what did matter. Now, of course, Google does own platforms that services are built onto — Google Maps, in particular — but these emerged over time. The path dependence is very important. Now we’re all on mobile and take mobile services for granted, but it took nearly two decades for this to be the case. In China, on the other hand, things didn’t evolve quite this way. Yes, search and the pursuit of ‘finding things out’ are still important. But participating in the Internet is dominated more by something else, relatively early on: connecting to people and services that you couldn’t connect to before. It’s been observed here in the United States that “the killer app of mobile turned out to be chat”; well in China, chat turned out to be the true participatory use case of the entire Internet, in ways that the United States has only experienced relatively recently. The Chinese MegaApps like QQ and WeChat aren’t just communication — they’re an interface layer that everything else plugs into. Compare these use cases to the United States, where (for most participants, anyway) you could hardly accomplish any of these things online in the Internet’s first decade. Had these online services been available, Internet participation would’ve meant something very different. They did arrive, eventually, but not so quickly as for China’s average Internet user. For that average user, the emergence of Internet access and Internet services at about the same time meant that participation by connecting with those services (universal chat platform portals) occupied the same critical spot as Google (and later, Facebook) did in the United States. Now what about that “next next billion” cohort? Given what we explored before about path dependence and the order of things, we’re likely to see a world in which Internet services will become prevalent for end users a lot faster than Internet access will. Recall our previous example, in which somebody orders an item from a shopkeeper via SMS, who in turn purchases it via Amazon India and later on hands it over in exchange for cash. Who has participated in the Internet and how, exactly?The purchaser never touched an Internet connection himself, and yet he clearly used an Internet service. And the purchaser, shopkeeper and merchant all got what they wanted. Again, this state of things won’t persist forever. One day, our purchaser will have his own Internet connection, and he will take it for granted. The question is what happens between here and there. At some point in the near future, the cost of a personal mobile Internet connection falls sufficiently to coincide with a new reason to participate in the Internet that goes beyond what is possible with SMS and TV. These reasons to participate will initially need to be “data thrifty” in the sense that they have high real-world impact relative to data consumption. Some examples of this might be access to credit / loans, job postings and opportunities, mobile-facilitated dating, or even new ways to participate in a religion. In the long run, of course, one would hope that connectivity and data bandwidth would increase to the point that data-thirsty services we take for granted, like Netflix, become similarly ubiquitous. But by the time that rolls around, we’ll be in a world where path dependence will have carved out some winners. The way to identify them might be to ask a simple follow-up question: who owns the reach? 3. Who has reach and why? What do we mean by reach? I’m going to use my own definition here that’s related to participation: reach is what allows participants on the Internet to engage fully with whatever they’re trying to engage with. In the early days of the Internet, Yahoo directory had reach: when participating in the Internet meant finding things out, you found those things via Yahoo Directory. Then came Google, which did this kind of reach 10x better, and we know what happened. Some time later came Facebook, which had a different kind of reach: it allowed people to participate in social networking, which at the time mostly meant finding out what was going on with your friends. Nowadays Amazon has another kind of reach with AWS — it sits at the critical position that allows us to connect to cloud services. Reach, in other words, is a consequence of having some particularly well-positioned core competency. -They have king making ability (which we often discuss in terms of “platform risk” for others, but can be simpler — e.g. if you’re not in first few Google search results you’re nothing). In China, reach means something a bit different. While there are a number of influential services that resemble US counterparts (Baidu, Alibaba, and so forth) it looks like WeChat in particular is starting to see N of 1 dynamics (i.e. “the one app to rule them all”) in a way that could not have emerged in the early United States Internet. When “participating in the Internet” means “connecting to people, things and services”, then the reach belongs to the platform that everybody connects through. Chat, the common interface layer between everybody, becomes critical in a way that is only recently apparent in the United States. WeChat has reach because they are in the critical spot that allows participants on the Internet to engage with whatever they’re trying to engage with, in a self-reinforcing cycle where reach begets more reach. “Usage of the WeChat Payments platform is growing so quickly that WeChat is experimenting with processing payments offline via QR codes at brick-and-mortar stores, live events, vending machines, restaurants and hotels. The network effects are obvious and substantial: the more places that accept these payments, the more users will jump on board. … So what makes the wallet work? The WeChat wallet menu has several portal-like characteristics: as mentioned earlier, it has 1) built-in trust since designated partners have been vetted and selected by Tencent, as well as 2) automatic authentication of identity and payment, and 3) the ability to offer seamless experiences with third parties while never requiring the user to leave the WeChat app. For example, I’ve often heard people say they use “WeChat to hail a taxi,” when in fact ride-sharing service Dididache is actually providing that transportation service.” That’s reach. -King making ability (which WeChat in particular has made very obvious). Now how about for our future cohort of billion users? Well, we don’t know yet who has the reach, to whom or what, and why. Amidst the vast numbers of companies bubbling up in India, for instance, in the long run only a very small number of them be able to obtain the kind of reach we talk about in the same breath as Google, Facebook, Baidu and WeChat. The way to spot them will be to figure out what are the critical kinds of reach, and how they will evolve given the path dependence and participation that are different from what we’re used to seeing in the US and China. The reach that matters will be at the spot where participation on the Internet is most valuable: Strategic vantage points where small bits of Internet consumption will be very high-leverage in terms of what people can actually accomplish, and can converge towards permanent reach. At Social Capital we’re very fortunate to be working with Ezetap, which has given us some insights as to how this is beginning to play out. As Chamath put it last year: “India is uniquely positioned to build an entirely new financial services ecosystem thanks to advancements like [Universal ID]. Moreover, it’s clear to us that this revolution will be mobile first — from mPOS to mobile wallets, and that Ezetap is the only company which can seamlessly and agnostically support this fast changing landscape.” It’s our responsibility to watch how this plays out carefully, and pay attention to when new forms of reach emerge that may not be easy to foresee. Think about that for a second — if connectivity takes on an air of ubiquity when device ownership hits 40 per 1000, which likely means somewhere around 1 per 5 households, then connectivity means something very different than what we’re used to. Participation and reach mean something different than we’re used to. The point here isn’t to wax about how different the developing world is. The goal is to work out what are going to be the conditions under which the $100 billion dollar companies we’re seeking are created. And if that company has already been founded, where should we look to find it? How would we recognize it? Let’s seek out the Indicorn — where was it born? How did it grow up? Indicorn grew up in an environment where Internet Services precede Internet access for most people. Many of Indicorn’s first users don’t have their own real Internet access yet, although they probably have SMS. Many of Indicorn’s users saw the “last mile” connected for them first by services, like Flipkart, rather than Telcos. They will indeed gain their own personal Internet access one day, but the path from here to there is unclear. Indicorn became a gatekeeper of something valuable — but probably didn’t start out that way. It’ll be similar to how Pagerank became an absolute kingmaker, yet it wasn’t that way from the very beginning. At first, it was just simply a way to make the service better. Indicorn has seriously valuable reach. It may not be a social platform, per se, but serves as a social record keeper or ledger of some sort. These systems of record will be very important for participation on the nascent Internet, as far as end users are concerned. Indicorn can handle sensitive relationships or transactions in an offline-like manner. It handles cash transactions that don’t feel like a hack, they just feel normal. Indicorn is governed by a positive feedback loop at the highest bit position. Someone has protested that Indicorn is “not fair” for some reason. US: Access then services carved one path; Google and Facebook emerged as dominant winners. China: Both services and access emerged at around the same time. Platform portals dominate in a way they didn’t in the United States. Next billion: Services will be usable and practical for many people before personal Internet access is available. For many of the next billion, the last mile may first be bridged by services, not telcos. It won’t stay like this for too long, but the path dependence established here will be important in the long run. 3. Lasting mythic status comes from reach. Reach — the consequence of having a core competency at exactly the right spot — will ultimately determine who matters. To find that spot, look at participation. Whichever companies turn out to be the ones that truly matter out of this new cohort of Internet users, it’ll be a very interesting next few years trying to figure it out. Hopefully these ideas will become further built out into useful models over time.